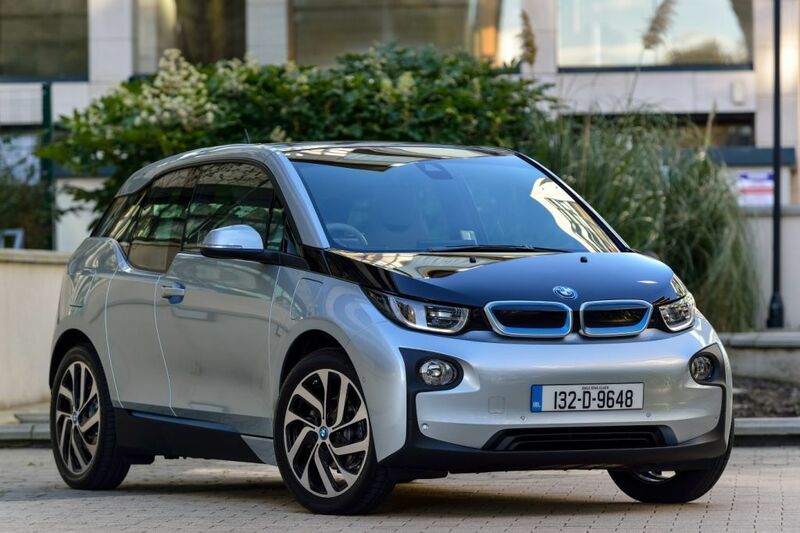 Having had the good fortune to test drive several quite nice cars during my time as a motoring journalist – including Toyota’s GT86 and the frankly fantastic Audi A8 – I believe it’s fair to say that the BMW i3 is the one vehicle which has received the most attention. That’s not to say, however, that all of this attention has been completely positive. ‘Unique’ is possibly the best way of describing the exterior styling, which hovers in that ambiguous grey zone of subjectivity (as opposed to the Aston Martin DB9, which is simply and undeniably beautiful). From the outside, at least, it’s clearly a BMW – just look at the aggressive front kidney grille which is at home with the rest of the range (actually fully closed on the i3, whose electric motor doesn’t need cooling air), though the iconic propeller badge now features an electric blue rim encircling the blue and white disc. Several onlookers enjoyed its distinct looks. Many thought it was simply ugly. One preferred the styling of the Nissan Leaf, a viewpoint I still find quite puzzling. 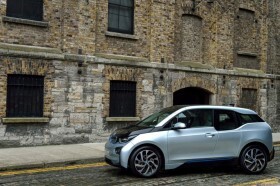 At worst, the i3’s looks will grow on you and, at best, it’s better than the Leaf. With its tall stance on the road, you would be forgiven for thinking the i3 doesn’t handle very well at first but this notion is quickly dismissed once you get going, and the i3 handles curves and bends with confidence, helped to a great degree by the car’s low centre of gravity as the batteries are stored in the floor. The i3’s tyres are an interesting feature. Designed especially by Bridgestone they have a larger diameter and a narrower tread yet they still grip well in all conditions, and they’re more aerodynamic to boot, something which Bridgestone refers to as ‘ologic’ technology. To drive, the i3 is surprisingly different from what I expected. I stepped into the cabin having never driven an electric car before, and perhaps brought several typical petrolhead prejudices on board – namely that electric cars are pointless, too slow (despite the fact that torque is available immediately) and you’d only make it several miles before having to scurry about in a panic, searching for a socket. It took an embarrassingly short time for those preconceptions to disappear (mostly). For starters, the i3 is anything but slow. Gently tap the accelerator and you’ll find yourself launching forward at a somewhat alarming rate before you find the brake. The i3 has a 0-100 time of just 7.9 seconds (for the range extender (REx) version) and it’s quite eerie to be thrust forward that fast accompanied by the sound of silence (and possibly only your startled squeaks). Bear in mind that the accelerator here works more like an on/off switch – once you remove your foot from the pedal, the i3 immediately begins to slow down quite noticeably. BMW have also included regenerative braking on the i3 and for drivers suffering from the very real affliction that is range anxiety, it’s nice to see the range creep upwards by a few km now and then instead of the opposite. Once you take your foot off the accelerator the electric motor switches from drive mode to power generation and begins feeding electricity to the lithium-ion battery. If you’re worried about a lack of warning for the car behind you, the brake lights will illuminate if the energy recuperation process produces the same braking effect as if you were pressing the brake pedal.